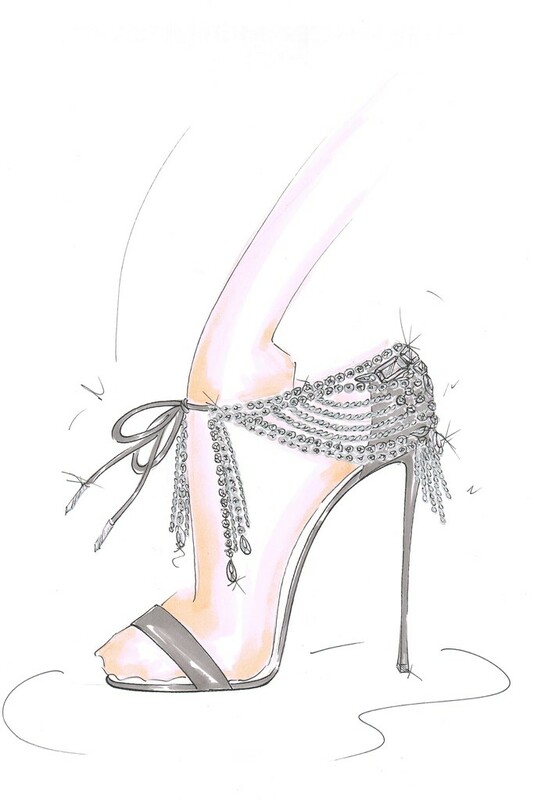 The Aquazzura x Olivia Palermo will include six different shoe models, sketches of two have already appeared on the web today : an evening sandal with a jewelry detail inspired by Olivia Palermo’s vintage necklaces, and an over the knee black boot. In addition to these, the collection promises to offer also gladiators sandals, suede and snake-skin shoes. The cost of shoes from the collection range between $600 and $1,625 which Palermo herself finds to be reasonable prices: “Everything is so expensive these days and you still want to have things that you can find and have quality and the design aesthetic and be happy,” she said. The collection will be available in September at 12 global retailers like Lane Crawford, Saks Fifth Avenue,Tsum ,Holt Renfrew and the giant luxury online retailer Net-a-porter has the web exclusivity.